Episode 018 - Happy Halloween! Epic Film Guys Nick and Justin take a bit to reflect on the recent horror challenge and discuss the upcoming "Never Seen It" November challenge. We also talk about Gotham and those badass new Empire and Total Film covers featuring Suicide Squad and Batman v. Superman! For next month's challenge, you can join in the fun too! Just pick ten films you haven't seen before- they can be a hundred years old, or new releases coming next month such as Mockingjay: Part 2 or Spectre. Watch them whenever you like, either in one big cluster or spread them out over the month. You can also enjoy a new drink you've never had before with the show as part of the fun- we are! Periodically, we'll post updates on the challenge over at www.facebook.com/epicfilmguys. Join in the fun and check out some new flicks you've been looking for! Need recommendations? We'll be sure to toss a few titles your way if you'd like. 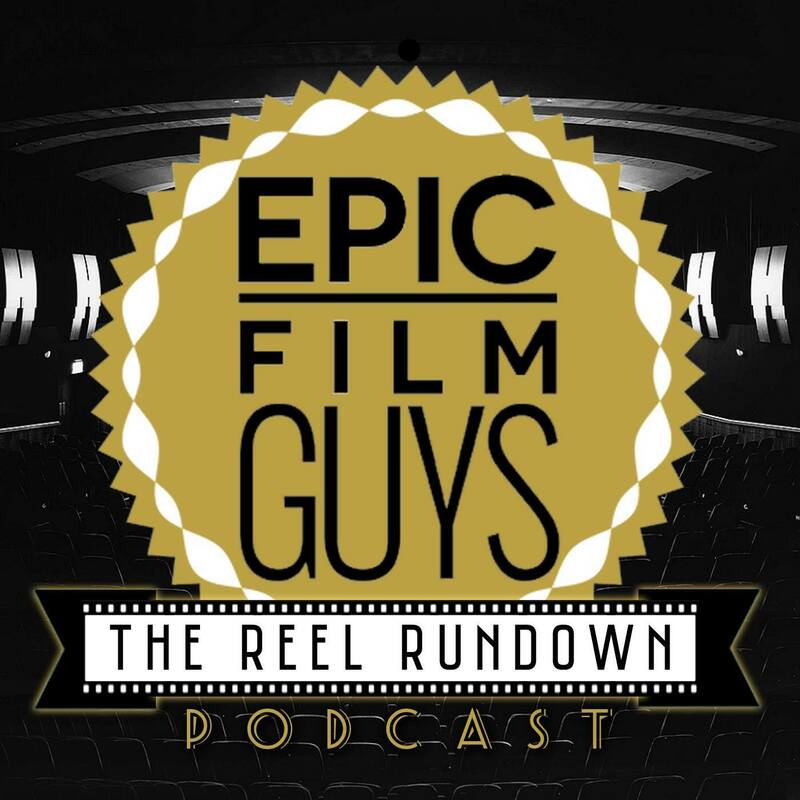 Follow us on Twitter @EpicFilmGuys! Episode 017 - Back to the Future Day & Star Wars Blowout!! Tonight we're all about two things: Celebrating the day that Marty McFly arrives in the future (that's today!) and breaking down all of our favorite moments from the Star Wars: The Force Awakens trailer. This episode is our biggest yet, but we definitely had a lot to say! An epic showdown is on the way in 2020 in the form of King Kong v. Godzilla, which we discussed back in episode 11. It has now been confirmed by WB and Legendary, so monster mayhem is certain! Bob Kane is getting a star on the Hollywood walk of fame, but Justin has a lot to say about credit where credit is due, and thinks that Bill Finger should get one too! Speaking of Batman, Nick and Justin discuss their favorite scenes from The Dark Knight, as there's a big one that seems to get overlooked in favor of others. All this, and Nick laments having watched the god-awful American Psycho 2, and we'd like to hear from you about some future challenges. A billion dollars? That's the rumored budget for Marvel's Infinity War Parts 1 & 2, but that number seems a little crazy to the Epic Film Guys. We're back this week drinking some good beer and talking about Daniel Craig's comments about James Bond, Leonardo DiCaprio's chances for Oscar gold with The Revenant, plus we look at Marvel's new post-phase 3 announcement and NYCC. We'll also flash back to Episode 003 and have a little fun with Justin, much to his chagrin. He'd also really love to get drunk and eat that black bun Whopper! October is upon us, so the Epic Film Guys invite YOU to take part in the 31 Day Horror Movie Challenge! 31 days, 31 movies, and both Epic Film Guys will be taking part in the chaos. Also, once a week, we'll be selecting a horror film for everyone to watch as part of the challenge. Look for the official posting over at www.facebook.com/epicfilmguys later today, and let the challenge begin! We also talk about Marvel phase 3, Gotham, Fast & Furious, and much more. We also take a look at the ever-changing stories surrounding Alien: Paradise Lost. Bach's Toccata and Fugue for Organ in D Minor, BWV 565 at the beginning to start the month off right!